It is no secret that we enjoy luxury, especially when we travel. So, when we found out that Tongabezi is not only the best lodge in Zambia, but one of the best hotels in the world, we knew we had to stay here. Despite it being ranked the 36th best hotel in the world by Travel and Leisure (2016), we wanted to stay at Tongabezi for its value, incredible resort features, eco-friendliness and its community work. Luxury is always nice, but it is not everything. We appreciated everything Tongabezi had to offer outside of its accommodations, which is why we were delighted to have the opportunity to stay there. Let us show you all the beautiful reasons you should book your stay at Tongabezi on your next trip to Zambia. Tongabezi is situated right on the Zambezi River and brings out the inner child in all of us because the resort occupies several tree houses. There are six tree houses with respected names (Honeymoon, Bird, Tree, Dog, Nut and Garden) and five river cottages. With the exception of the Dog House and Garden House, every cottage and tree house are perfect for couples. The Dog House and Garden House sleep up to five people and are more suitable for families. Each cottage and tree house are unique, none are the same, but they all offer exclusivity, beautiful accommodations and breathtaking views. Every day we woke up to the most beautiful views from our patio and saw the best sunsets over the Zambezi River. As you can see, these views and accommodations are what make it the best lodge in Zambia. Tongabezi’s resort grounds offer their guests more than just sanctuary accommodations, they also have a few tree houses for guests to hangout and explore at their leisure. Every tree house has the special touch of almost a tiki hut. The roof is made up of hay straw and supported by wooden planks. Inside the tree houses are luxurious and comfortable accommodations with a contemporary design and an African touch. The Nook is a common area for guests to relax in. Though every guest’s house has complimentary Wi-Fi, it is sometimes slow or difficult to connect (we are not complaining, we should be disconnected on vacation), therefore, The Nook has fast and reliable Wi-Fi speed. Guests can sit in plush chairs and couches around The Nook while they enjoy their high speed internet or nook (pun intended). Almost all of the sitting arrangements face the open side of the room, which faces the Zambezi River, allowing guests to see the magnificent views from their respected area of The Nook. The Lookout was our favorite! It is two stories high – on the first floor there is an area to play board games or enjoy a meal on the porch, on the second floor (the best part) are bean bag chairs and a hammock to relax in as you “lookout” onto the Zambezi River. The Lookout receives the most fresh air while still providing shade from the sun, so guests can enjoy the best of both worlds. We would eat a lot of our meals at the Lookout because of its wonderful views and dining areas. The Dock is just below and in-between The Lookout and The Nook. Tongabezi has several boats for both guests and employees of the resort. The boats are used to get to the sand bar, enjoy river cruises, to go fishing and to get to Sindabezi Island. What is Sindabezi Island? It is Tongabezi’s sister, eco-friendly hotel on its very own island! Another incredible experience you must enjoy. The Restaurant offers plenty of dining space for their guests. Every morning there is a spread of fresh smoothies, juices, muffins, bagels, parfaits and more. During the afternoon they have another spread of cold coffee, lemonade and small appetizers. Tongabezi, always has something delectable to eat or drink for their guests at any time of the day. The Patio encompasses a large area of the resort. It starts in front of the restaurant and wraps around it while also extending out to the Zambezi River. There is more than enough seating areas for guests to sit back and enjoy the fresh Zambian air and beautiful views of the Zambezi River. In front of the restaurant is a seating area with a a fire pit surrounded by outdoor lawn chairs. Towards the Zambezi River are stairs that lead to a lower level of the patio in the shape of a semi-circle. Along the semi-circle are long pillows for comfortable seating with a fire pit in the center. This was our favorite place to hang out every night because of the beautiful views, atmosphere and company. Most of the time we would sit here making friends with an Australian family. The last seating area on the patio is more suitable for sun bathing because of the lounge chairs provided with subtle shade from the surrounding trees. Of course, these lounge chairs are also facing the Zambezi River. Though the atmosphere of Tongabezi is absolutely breathtaking, it is the people who make your stay rememberable. From the moment we stepped off the plane, we were greeted by a Tongabezi staff member and then welcomed by a manager when we arrived to the resort. From there we were introduced to more staff members around the resort. Why? Because Tongabezi creates a warm and inviting experience for their guests to make them feel at home. Whether a guest is staying for two nights or five nights, Tongabezi does everything in their power to create a warm relationship between you and the staff members. We can say without a doubt that we enjoyed getting to know every staff member, which made it hard when we had to say goodbye to our friends and family members of Tongabezi. Every guest tree house has their own private butler (personal valet), to help with anything guests need. Yes, you heard us correctly, you have your own butler! We had the pleasure of having Nyambe as our butler and he did a wonderful job in taking care of us. He did everything! When we say everything we mean, clean our room, wash our laundry, pest control (scared away a spider for us), kept us safe from the hippos and arranged anything we needed at the resort. Nyambe was our man! The management were always more than helpful to accommodate all of our needs. On the first day, they arranged all of our daily activities and special dining experiences. They would also help coordinate our day trips with outside tour operators with ease. On our last day, we ran out of cash to visit Victoria Falls on the Zimbabwe side, so the management team went above and beyond by lending us $100 – no questions asked! We were overwhelmed by their generosity for making every impossible situation, possible for us. Where to even begin on our luxurious accommodations at Tongabezi?! We were placed in a cottage (cottage 5 to be exact) hidden in the trees with a large patio to overlook the Zambezi River. Our patio area was almost as big as our bedroom and bathroom combined. We had two seating areas, a shaded outdoor foyer to the entrance of our cottage and the wooden patio reaching out to the river. The outdoor foyer had a couch, a coffee table and a stocked mini fridge – it was the perfect place to sit back and relax with a drink in hand. The lounge chairs and the couch on the wooden patio had even better views as they were close to the edge with limitless views of the Zambezi River. Our bedroom was in the shape of a circle which allowed for plenty of space surrounding our bed. Having our room in the shape of a circle was very different and unique to us, we really liked its layout and use of space. Around the room was a couch resting against the front of our bed, a coffee table, a desk, shelf space, two closets with dashiki robes and a safe. There were windows facing the Zambezi River, which made a beautiful view to wake up to every morning. We slept on canopy bed that might as well have been a cloud, it was so comfortable. When we arrived to our cottage, there were beautiful flowers arranged on our bed with a handwritten and drawn note from the kids at Tongabezi’s school, Tujatane. We had an in-suite bathroom with a curtain acting as our door. The bathroom had a slight Victorian era ambience to it. The shower had a gorgeous tiled wall with a copper shower head. The full-sized bathtub laid against the window to get direct sunlight and outdoor views, while at night, it made for romantic candlelit evenings. Though it was safe to brush our teeth from the tap water in the sink, Tongabezi always provided us with bottled water. They also offered refreshing body wash, lotion, shampoo, conditioner and more toiletries at our disposal. If there was not so much to enjoy, we may have never left our little sanctuary – it was perfect. We are not exaggerating when we say that the food at Tongabezi was the BEST we had during our two weeks in Africa. The culinary team is led by Chef Simon Orviss, a talented and well established chef from Mpumalanga, South Africa. Chef Simon has traveled and worked around the world giving him the tools he needs to succeed and indeed he has succeeded because every bite was absolute perfection. Tongabezi has their own vegetable and fruit garden on property, therefore a lot of meals are prepared using ingredients from the garden. Every morning for breakfast there would be a spread of freshly baked pastries, homemade granola and muesli, yogurt, fresh fruit, parfaits and more. There would also be fresh juice made from local fruit and a health drink with ginger root and vegetables from the garden. In addition to the daily arrangements, there was a set breakfast menu of hot foods such as, their signature BLT sandwich and the chef’s daily breakfast special. Both lunch and dinner were three courses – a starter, main entree and dessert. In addition to the three course menu, dinner would also serve fresh baked breads and a garden salad. Guests are always given a few choices for each dish and the menu always had several options to please every palate. The menu would incorporate local Zambian dishes as well as dishes inspired from around the world. Every plate of food was presented perfectly and with a modern touch – you would think we were dining in a Michelin star restaurant. We were totally blown away from the presentation and taste of every dish. We have already discussed Tongabezi’s property grounds and how there are an ample of seating areas to enjoy. With this being said, though there is a restaurant to dine inside, Tongabezi encourages their guests to enjoy any of their meals at any table found within the resort. Finding private and secluded areas makes for the perfect romantic meal with your loved ones. We never ate anywhere more than once, we dined at – The Lookout, restaurant, private island, sampan dinner and more. Tongabezi treated us to a romantic lunch on a private island down the Zambezi River. Captain Felix took us by boat to our little sanctuary where one of our favorite servers, George, was waiting for us. George arranged a picnic table under a tree with a view of the water and a heart shaped table setting. A small buffet of dishes were brought to us and our eyes grew big while our stomachs grew bigger. We had curry chicken pot pies, roasted beef, vegetable wraps and a house salad – we were in heaven, everything tasted amazing and we loved having a lunch on an island all to ourselves. A sampan is a flat bottomed Chinese wooden boat found in coastal areas or rivers. Tongabezi has a candlelit sampan dinner in the middle of the Zambezi River that can be enjoyed for a romantic evening out. Guests should note that this is a popular dining experience and should be booked as far in advance as possible. The staff members work hard to create a beautiful dinner for guests. They row from a canoe out to our sampan for every meal – it is truly incredible that no plates break or even look remotely out of place by the time it is on our table. The staff even sang us an anniversary song with a traditional Zambian cake to help us celebrate our two year wedding anniversary. The food was delicious as always, but did taste slightly better than the rest of our meals (perhaps it was the ambience). It was certainly a dining experience we will never forget. Did you know that hippopotamus’ are responsible for more human fatalities in Africa than any other large animal? We would always see several hippos in the Zambezi River on our river cruises and from our balcony. So with the entire resort sitting on the edge of the Zambezi River, hippos would come up to the surface quite often. Guests always have to walk with a staff member from their room to the main resort grounds and vice versa during the night. If a hippo is spotted, staff members are quick to keep guests safe. In fact, we came across a hippo during the night and it was a very serious situation. All the staff members were on high alert watching the hippo to assess the situation and find an alternate route for us. If you are an animal lover, you will enjoy your daily walks around the resort because there are monkeys everywhere! Guests are more than likely to have monkeys around their cottage or tree house in the early morning hours. For us it was almost like an alarm to wake up and start the day. You could hear the monkeys running around on the roof and jumping through the trees just after the sun started to come up. The monkeys would also play around all over property during the middle of the day. One morning, we saw a momma monkey with her newborn baby! She was too quick for us to snap a picture, but the baby was adorable. Tongabezi offers their guests an ample amount of activities included in their daily rate. We wish we had time to enjoy them all, but our time did not permit it. The activities we did experience though were a lot of fun, cultural and educational. Tongabezi’s Trust School which provides education for a lot of the staff member and surrounding village’s children. The largest market in Livingstone where locals buy and sell goods. This is another market in Livingstone and a nice option for tourists to purchase souvenirs from Zambia. A Zambian village where you can learn about their way of living. This is the largest and oldest museum in Zambia. Guests can learn about Zambia’s culture and natural heritage here. Guests can get transportation and a guide to Victoria Falls on the Zambian side. This is an UNESCO World Heritage site and offers guests a chance to see numerous antelope species, zebra, elephant, giraffe, warthog, a variety of birds and more. Guests can go out on the Zambezi River and fish with one of Tongabezi’s captains. Guests can board the boat to enjoy the best sunrise or sunset on the Zambezi River. Guests can enjoy the local sand bar for an evening of hor d’evours and drinks. Guests can enjoy a romantic dinner on the sampan. The Tujatane school was established in 1996 by Vanessa Parker. Vanessa is the wife of Ben, the owner of Tongabezi, and she quickly realized how much a school with good education and availability to the community was needed. Since 1996, the Tujatane school has been a fast success amongst the students and community making it an award winning school. Today, it has at least 240 students, ranging from 2 to 16 years old. Being a trust school, Tongabezi relies purely on donations. There are plenty of ways to donate to the school by sponsoring a child every month, feeding a child every month, donating materials and more. For more information on how to donate, please click here. Guests of Tongabezi, are able to visit the Tujatane School located just next door to the resort. Guests have the opportunity to meet the children, watch them be excited to learn and go to class and even watch the children do a school performance. We were able to donate a lot of school supplies and seeing the children in person and watching their faces light up are memories we will remember forever. The Simonga Village is a short distance away from Tongabezi and many staff members of Tongabezi live in Simonga Village. Seeing the African culture and lifestyle was very important to us and we were glad that Tongabezi gave us the opportunity to experience the village at first hand. Many families of Simonga Village live in mud houses. Our guide would not only educate us, but also show us the living arrangements, bathroom and kitchen. During our tour we had local boys and girls join us on our tour. They wanted to constantly hold our hands, take pictures or play with Christina’s hair. It was very touching and an experience and feeling we cannot put into words. We promise that a trip here is well worth it. After our visit we had a different perspective and appreciation of life. We are not early risers, we are sunset lovers and the sunsets we saw every day over the Zambezi River are the best sunsets we have ever seen. A captain from Tongabezi takes guests along the Zambezi River (on the Zambian side) for a beautiful sunset cruise. The cruise begins before the sun starts its descend giving everyone the opportunity to enjoy the scenery in daylight. During the cruise, we spotted so much wildlife it might as well have been a safari – baboons, crocodile, hippos, warthogs, nyala and several bird species. Happy hour at the Sand Bar was one of the biggest highlights of our stay at Tongabezi. Before the sun fully sets, the staff turns a small island that is across from the resort, into a Sand Bar. A pop up tiki bar is set up with a selection of alcoholic and non-aclholic beverages and plates of delicious hor d’evours. There are lawn chairs, blankets and pillows for guests to sit and relax on while they enjoy their company, food and drinks. We absolutely loved the atmosphere – surrounded by great people, drinks and food always in our hands, feet in the sand and stunning views all around us. The sand was softer here than some of the best beaches we’ve been to. We never missed a night at the Sand Bar. Of course, you cannot stay in Zambia and not go see the Smoke that Thunders. We loved how Tongabezi included trips to Victoria Falls on the Zambian side. Guests could take full advantage of the opportunity to visit Victoria Falls as much as possible. The staff members were always helpful in coordinating times and making special arrangements for us to be able to see and experience Victoria Falls frequently. It is definitely an activity and sight you cannot miss! Everything we have written about is included in the daily rate. Tongabezi is an all-inclusive package resort that gives you more than you could ever dream about. The experiences they provide will be moments you will cherish for the rest of your life and you cannot put a price on that. If you are lucky, you can enjoy some of their packages found on their website. We were fortunate enough to partake in their “stay 4, pay 3” special. We definitely recommend guests stay at least three nights because there is so much to enjoy at the resort or beyond it like the Victoria Falls. Prices are per person, per night and include three daily meals, alcoholic and nonalcoholic beverages, activities and laundry service. Please note, prices can vary. Relax and enjoy the stay of a lifetime at Tongabezi, the most luxurious and best lodge in Zambia. For further information, we highly recommend travelers to contact Tongabezi on their website. Or contact us and we can help plan your vacation to Tongabezi for free! Oh my lord everything looked amazing. I can’t get over how cute the treehouse looked and sounded – especially the Nook and the Lookout areas. Thanks for including photos of the food, I loveeee seeing amazing dishes! It sounds like you had an amazing time – thanks for sharing. It really does look like an amazing place to stay, and it’s close proximity to Victoria Falls is a big plus. To be honest, for a quality all inclusive $655 isn’t that bad. Although I’d agree, three nights probably would have to be the minimum considering all they have. How was the local ginger root drink by the way? The food looked amazing and I imagine the fresh vegetables from the garden were great. This is my dream place for honeymoon <3 I just love the round-shaped bedroom and the amazing view over the sea. The food also looks sooo yummy! Really hope I can plan a trip to Zambia soon so as to try this place out! Wow! This seems incredible. Just perfect. I love how this is such a good quality post. So many photos, so many information, etc. Wow that looks so amazing. We’ve never done anything like this (apart from visiting local schools! ), but we’d sure love to give it a try! How far away is it from Victoria Falls? That’s high on our list. Oh. My. Goodness. Staying in a treehouse is my dream! And this is probably the most luxurious treehouse I’ve ever seen! Also, the note from the local school is so cute. That’s so cool how welcoming the town was. Hi Davide. We hope you can make it to us at Tongabezi one day too! It is a wonderful post! I instantly fell in love with this resort! Everything from the tree houses, to the very cosy and chilled out ‘lookout’ place, the ‘nook’ where people can just sit with their laptops or read a book with such an amazing view of the river, the patio seating, the food options and the luxurious yet simplistic interiors of the resort. I would love to spend a few days here, away from the hustle and bustle of the world, and relax! I can see there’s also a bunch of activities and things to do in the vicinity which is a great add on. Thanks for sharing this; if I ever make it to Zambia, Tongabezi is a place I’ll look into for spending 3-4 nights. This looks like a wonderful riverside resort that you can escape the world from! The rooms and food look stunning with great views over the Zambezi! Also has some awesome activities around and so much nature – as you say might as well be a safari! Will definitely have to keep in mind for my next travel adventures around Southern Africa! Wow, this looks like a dream vacation! The treehouse accommodations look really cool and it sounds like guests are truly treated like royalty. (Your own Butler?!) Food looked amazing, love the wildlife, and that so much of the resorts outdoor living areas take full advantage of the river view. I also enjoyed the activities you covered and hearing about local culture and school. Can you say, “Trip of a Lifetime”? Thanks for sharing it! HI Jackie. 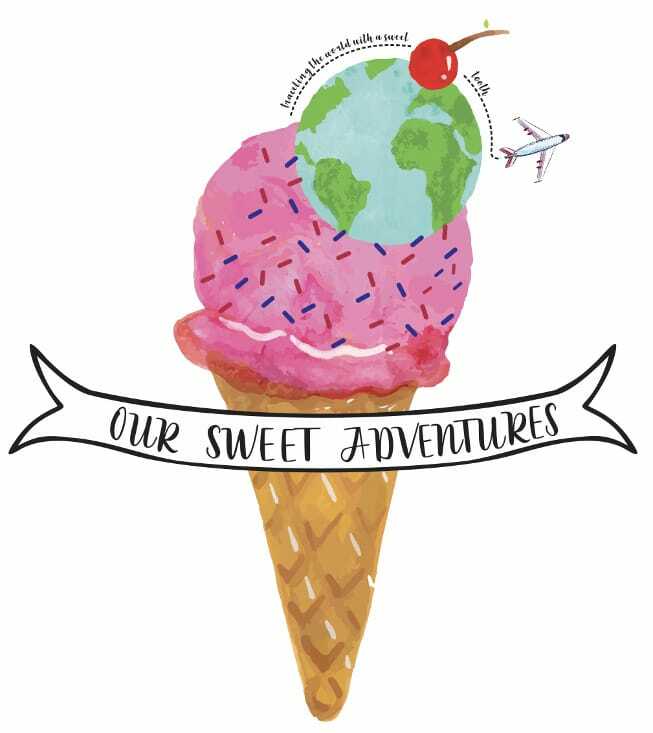 Thanks for commenting on ‘Our Sweet Adventures’ wonderful blog. We hope to welcome you to Tongabezi in the future. What a beautiful and luxurious tree house resort it is! I love the spread of food, the way the restaurant is stocked, the way they have kept boats for even guests and everything else about this place. My most favorite spot is the sit out area from where you are getting a wonderful view of the surroundings and the water. Such an experience staying here!! Dear Neha. Thanks for your feedback on Tongabezi on this lovely blog. We hope you can make it to us one day soon. Thanks for this excellent and comprehensive blog about us at Tongabezi! We are thrilled that you were so impressed and enjoyed every minute. Thank you for all the love and support My Sweet Adventures! The first few pictures were really good and I was impressed. Until I started scrolling and then they just kept getting better and better and better 🙂 This is a real gem you found in the middle of that stunning natural landscape. I can only imagine how rejuvenated you must have returned. The decor is stunning too. Dear Punita. We at Tongabezi are so pleased you loved the images that OurSweetAdventures so kindly posted! Oh my gosh! What an amazing place and experience. It truly has the perfect view! I’d love to visit Victoria Falls, too! Crazy fact about the hippopotamus! I wouldn’t have guessed they’d cause so many fatalities. I’ve never seen them outside of the zoo when I was kid, but they always looked so lazy and docile! Looks and sounds pretty awesome. We’re planning on heading to Zambia later this year as my husband used to live there and has a project he designed under construction. Will try and check this place out whilst we’re there! Thanks for sharing. Hi Tanya. We would love to welcome you here at Tongabezi! This looks absolutely beautiful – I can certainly imagine myself curled up in The Nook! Definitely keeping this article saved; it’s given me good ideas! Thanks for your comments! We would love to welcome you at Tongabezi! This place looks incredible! I’d love to stay here someday! This is such a thorough post! I’d love to stay here – it does look like pure luxury and I love how the rooms are all over looking the river. Having recently gotten back from safari in South Africa I have the bug now! Okay I’m sold, when can I go? Hopefully 2019 will be our year to go. Beautiful resort, your photographs are wonderful and the resort should be very pleased with your article. Lots of information too! Wow this place looks amazing! Exactly what I would want to experience while staying in a destination with a dramatic and beautiful landscape like Zambia. Thanks for sharing! It’s the perfect resort for a vacation in Zambia. Especially if you want to visit Victoria Falls. We hope you get to experience it yourself one day. We would love to welcome you one day to Tongabezi!